Jean A. Leone is a Licensed Professional Registered Nurse in New York, New Jersey, Pennsylvania, and Florida. The majority of Jean’s 29 year nursing career has been dedicated to the fields of Oncology, pain and palliative care, end-of-life care, and the integration of alternative and complimentary paths as well as Spiritual Care in serving individuals and their care partners in acute, chronic, and terminal disease. Jean holds a Bachelor of Science Degree from Regents College, a Master of Science Degree in Organizational Leadership-Health Care Systems Management from Mercy College, a certificate in End-of- Life Care; she is an Ordained Interfaith Minister and a Hospice Chaplain, and a Senior Health Care Administrator. Jean started her career at Memorial Sloan- Kettering Cancer Center as an Oncology-Hematology Clinician and after advancing to Clinical Nurse III, and receiving her Oncology certification moved on to be instrumental in the development and implementation of Oncology Units at Holy Name Hospital and Meadowlands Hospital in New Jersey. The next 8 years were dedicated to establishing and running her own Licensed Health Care Service Agencies specializing in Hi-Tech Infusion Therapy as well as skilled and paraprofessional services delivered in alternative settings throughout New York and New Jersey. Following this, Jean was recruited to bring her expertise and knowledge in the delivery of hi tech and infusion services to the long term, home care industry, as well as physician practices and the New York City Board of Education… During this time period Jean served as Vice President of Clinical Operations for New York Health Care, as well as the Manhattan Borough Director for New York City Health and Hospital Corporations Home Care Division, overseeing Nursing Services in Manhattan as well as hi-tech services and the Ryan White Grant Program in all five boroughs. 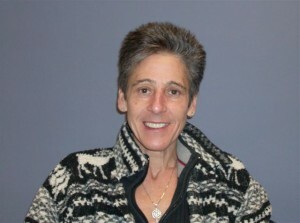 In 2001, Jean accepted the position as Director of Oncology, Palliative-Hospice, Internal Medicine-Geriatrics and Infusion Services at Northern Westchester Hospital; in this role Jean was instrumental in the planning, development, and implementation of Comprehensive Cancer Programs, including an in house Hospice and Palliative Care Program, on-going support groups, a dedicated Geriatric Cluster, and the foundation for a Cancer Center. Jean was asked to serve on the Advisory Board for the American Cancer Society’s Eastern Division, Westchester Region as the Medical Advisor in 2002 and served in that role for three years. Jean was then appointed to serve as a Board Member of the American Cancer Society Eastern Division which encompasses NY and NJ. In March 2004 Jean was the recipient of the first, Lorraine D’Amato Service Award, presented by the Westchester Region of the American Cancer Society; this award honors exemplary service to the needs of Cancer patients and their families. In keeping with her strong beliefs as to the importance of Interfaith Spirituality in Health and Illness, Jean attended Seminary for two years and in June 2005 was ordained as an Interfaith Minister. She then went on to complete a year program in Clinical Pastoral Education in Hospice –Palliative Chaplaincy. Hospice -Palliative Care Open Access service providers on the East Coast. Jean was the Senior Executive Director/Director of Clinical Services for Trinity Hospice. Jean started the first 2 NJ sites for Trinity Hospice a National Hospice Organization with 28 sites throughout the Country. In addition she was responsible to oversee compliance for New Jersey. Jean was also a Senior Team Member of the Trinity Hospice-Corporate Task Force for the development of Integrative and Palliative Services, Clinical Operations and Program Development. She also served as the Executive Director, Administrator, and Clinical Director for Odyssey Healthcare – Hospice of New Jersey until joining Holy Name Medical Center, in July 2010, and is the Executive Director for Hospice and Palliative Services, as well as Villa Marie Claire. This Service Line integrates Hospice and Palliative Services across all settings, as well as develops the foundation for an Integrative, Interfaith focused Model of Care. In Feb of 2011 she was also asked to take on the position as Administrator-Executive Director for Home Health Services, Adult Day Away and Tele-Health. In addition, she serves as President and CEO of YATRA, INC. a 501c3 organization which provides Holistic Education and Training focused on the integration of Interfaith Principles that addresses the physical, emotional, psychosocial, spiritual and cultural needs of individuals, care units, groups, and families and in addition there is a concentrated focus in the specialty areas of Hospice, Palliative, and End of Life. YATRA, INC. in partnership with The College of Pastoral Care and Supervision was an accredited provider of Clinical Pastoral Education. In addition to a Masters of Science degree in Organizational Leadership- Healthcare Systems Management from Mercy College, Jean has post graduate studies in Divinity,and is presently pursuing a Masters of Science in Nursing at Fairleigh Dickenson University as well as a Doctorate in Ministry with a focus in Multifaith from New York Theological Seminary-Auburn Seminary in NYC. Jean is a founding member of the Order of Universal Interfaith, and in January, 2009 she accepted the role of Secretary General of The Order of Universal Interfaith, an organized third order spiritual/religious body providing an ecclesiastical home for ordained interfaith ministers, clerics, celebrants, and lay members. The clergy and lay members come from diverse faith paths and are called to service in the fields of healthcare, crisis intervention, hospice –palliative care, education, community service and administration. She is also a founding member of Community of The Mystic Heart, a community dedicated to the realization of a new civilization grounded in acting from the contemplative, compassionate, and loving heart. This community practices interspirituality, defined by Brother Wayne Teasdale. The Order of Universal Interfaith, as well as The Community of The Mystic Heart, and Integral Spiritual Nexus and is committed to preserving a model of Interfaith-Multifaith-Interspiritual, and Integral service to all humanity. In addition, Jean is a founding Board Member of The Council of Interfaith Congregations of the United States of America, a democratic religious association of independently organized interfaith congregations, communities, and seminaries throughout the United States, and a member of the development committee for WCIC, The World Council of Interfaith Congregations. CIC-USA and WCIC’s mission is to provide an administrative, and supportive hub for independent churches, congregations, and seminaries, and its’ vision is to provide a synergy of energy to its congregations, seminaries, and members world wide.